During its 50-year history, december magazine has published the early works of authors like short story writer Raymond Carver, the novelist Rita Mae Brown, five United States poet laureates, and six Pulitzer Prize winners. 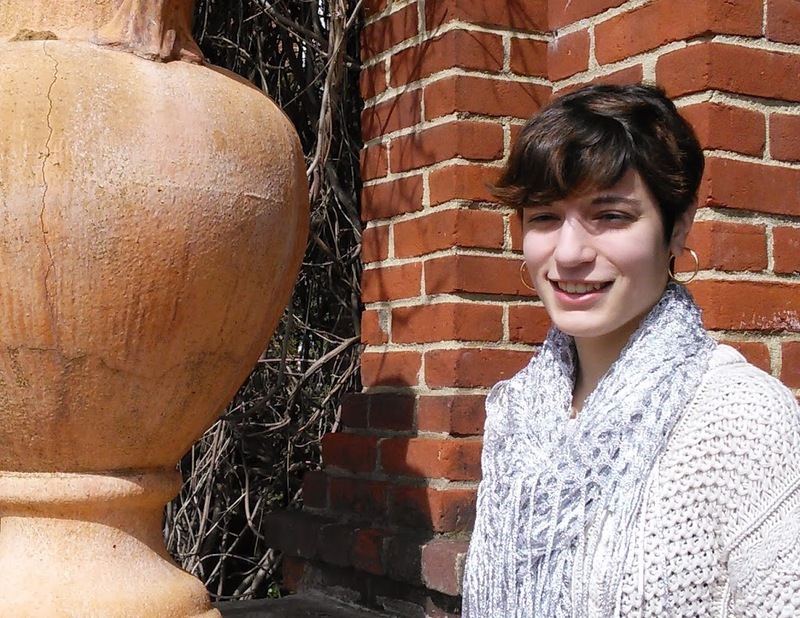 Hannah Cohen ’15 is happy to find herself in such good company. “Filter,” a poem that Cohen wrote for a creative writing class at Randolph College will appear in december magazine later this year. It was one of three poems she submitted for the Jeff Marks Memorial Poetry Prize, for which she was listed as a finalist. Cohen described “Filter” as a poem about “cigarettes, death, love, and art.” It begins with a speaker noticing cigarettes discarded on the side of the highway, moves on to memories of the speaker’s grandmother, references to the Greek myth of Pygmalion and the artist Michelangelo, and returns to the car and images of cigarettes. Cohen, who transferred to Randolph last year, enjoys exploring the ways in which her favorite subjects—art history, writing, and religion—intertwine. She is majoring in art and English and minoring in religious studies. She has enjoyed writing for a long time, but became more serious about it in high school. At Randolph, she has benefited from working with professors who helped her sharpen her talent and find motivation to write. “I feel like I got the criticism and revision from my professors that I wouldn’t have had if I had gone somewhere else,” she said.